Presented is a Baltimore Ravens home jersey worn by Haloti Ngata during the 2010 NFL season. 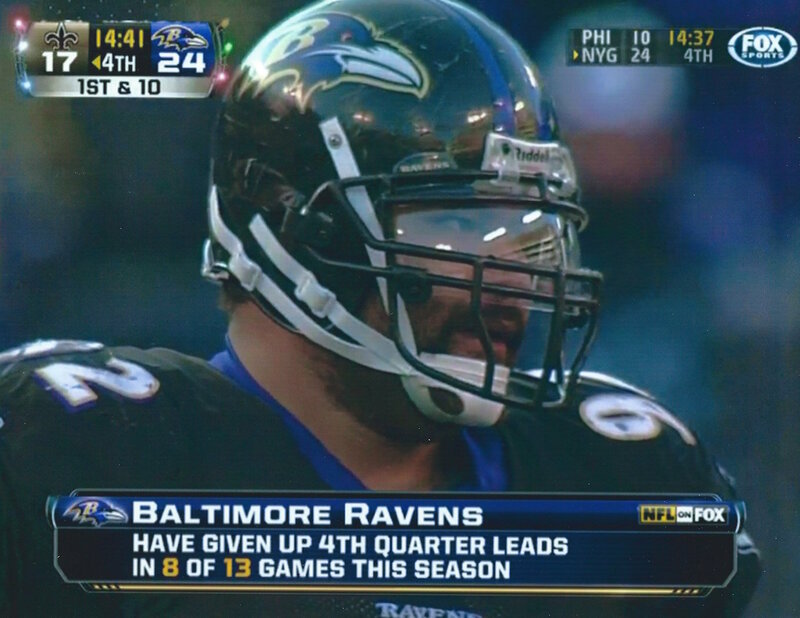 The jersey is video matched and authenticated to a contest versus the New Orleans Saints on December 19, 2010. 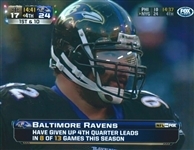 This Reebok garment is tagged "05-52" indicating the year and size of the jersey. 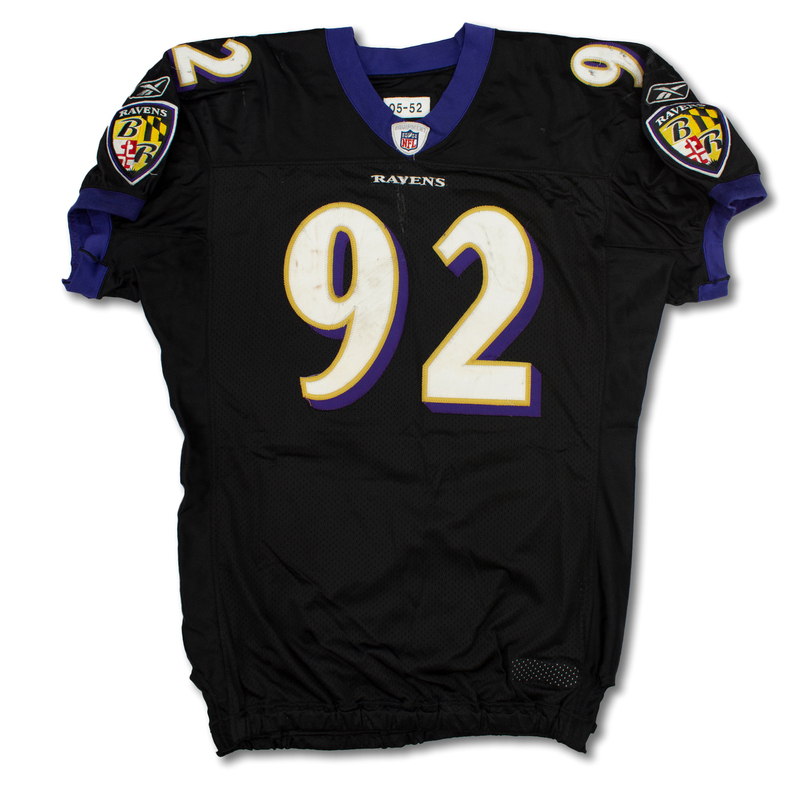 The jersey shows tremendous game wear with stains, hit marks, face mask transfers and loose threads. 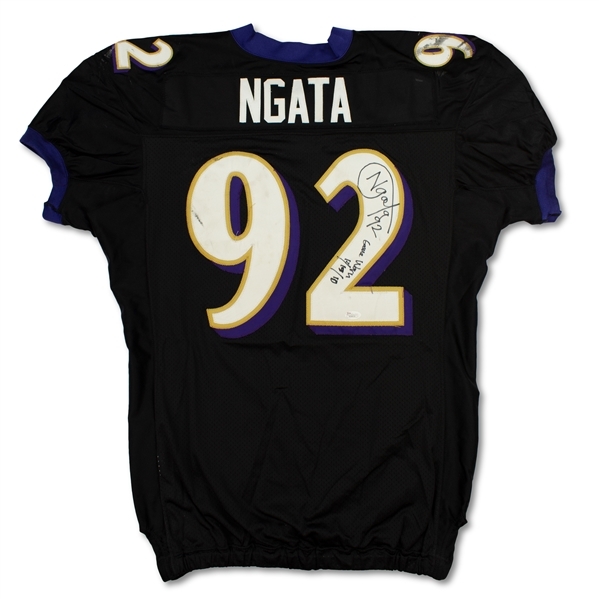 The jersey is signed and inscribed "Game Worn, 12/19/2010" in black ink on the rear "2". A JSA stickers is affixed to the jersey that reads "W284151". 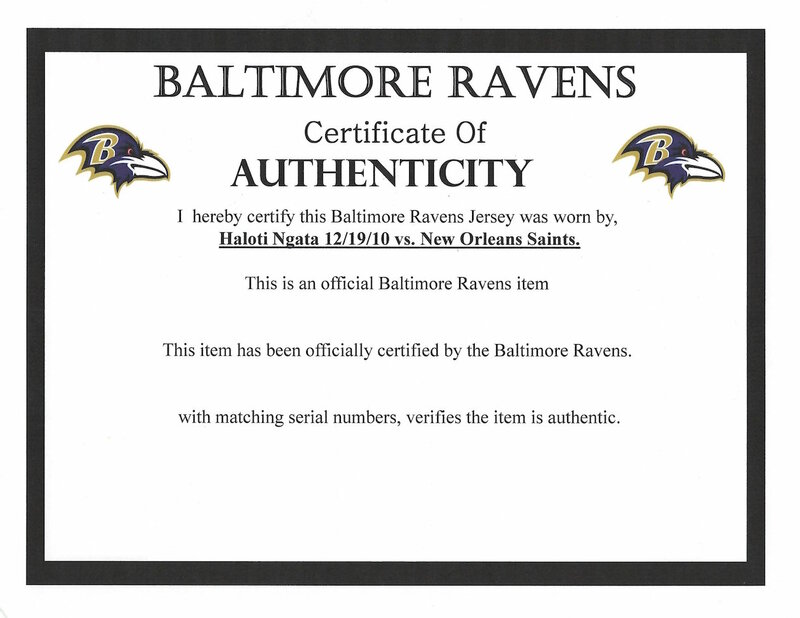 The jersey is accompanied by a letter of authenticity from the Baltimore Ravens.